Great fishing at Red's Lake! Are Common Carp native to North America? Entrepreneurs imported the fish, and by 1876, California had thriving carp farms. Because of the waves of population growth, native species began to decline. As a result due to the fish's hardiness and size capability, the U.S. Commission of Fish and Fisheries began an intensive effort of carp cultivation in 1877. By 1883, many waters now had carp populations. In reality, carp are a fantastic resource and a movement towards regulated commercial fishing and community efforts to cleaner waters will improve conditions for all fish life. Then what are the invasive Asian carp? Many Asian carps are considered to be invasive fish. They feed rapaciously on plankton, invertebrates, and detritus and thus often upset aquatic food webs in areas where they are introduced. These species include: bighead carp, black carp, and silver carp (AKA Flying carp). 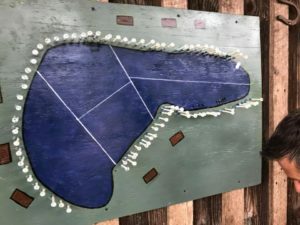 They came to North American during the 1960s and ’70s to control the growth of noxious aquatic plants, snails, and other pest organisms in ponds, fish farms, and small lakes. 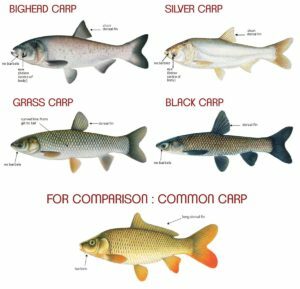 Grass carp is also considered an Asian carp, but the sale of Triploid Grass Carp is a regulated sterile fish. Paylake fishing originated in North Carolina. It is where a person pays to fish a stocked lake. Generally, these are small and privately owned. A load of fish to these lakes range from 2,000-20,000 lbs. 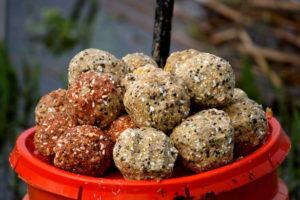 Early baits were worms, whole kernel corn, and bread balls. It then evolved to doughbaits which were a mixture of flour and meals to form a ball around a hook with added extracts and spices found in a common kitchen like strawberry and vanilla extract. Each fisherman chooses their spot based on a draw. A boundary area is set that they will fish from for the tournament. Skills are honed to recognize what the fish are biting and strategy comes into play to not only outfish the other fishermen, but to also protect knowledge of what the successful bait it. This can change for each tournament as fish will tire of one favorite in exchange for a new favorite. Prizes are typically awarded for biggest fish in a certain time period as well as overall largest for the tournament period. Other prizes can vary and can include places for combined weights. Rods - usually 7-11 feet, medium-heavy to heavy. Gives better control when catching a fish. Reels - preferably with a “clicker” which complements night fishing and having distance from your rods. Line - 12lb - 20lb breaking strain. High visibility lines do not bother carp and can aid the fishermen in recognizing a bite and reeling the fish in. Rigs - typically non-braided on a three way swivel with two leaders, 2-5” in length. Adjusting to a barrel swivel with only one hook is beneficial for your hands when trying to unhook a wildly thrashing carp. Sinkers - Egg or No-roll in 1/8 to 1 oz weight. The benefit of the flat version is the fluttering as it falls/sinks which helps to expose the hook quicker. Rod Stands - simple with a foot peg at the bottom to push into the ground. The top has a cupped area to prevent the rod from being pulled into the lake. Alarms/indicators - some are LED with a sound element, others are a bobber style that dangles. Landing Nets - Ed Cumings and Ranger nets are more popular. Designed for Salmon and Catfish, the 8 foot pole can assist with taller banks and heavy carp. Carp Caddy / Carrier / Tote - typically a plastic cylinder designed to carry a fish head first. 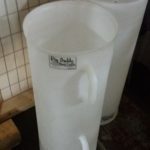 (Backwards/tail first can result in broken spines/backs which don’t heal) padding protects the fish and dunking the cylinder in water before inserting the fish into the cylinder also prevents burns to the fish in the summer heat. It is common to see 1600 series electric scooters with an adapter on the back to carry the carp to the weigh station. Because the roads around the paylakes are usually gravel, a thick foam padding in the tote is especially important to protect the fish. Binders include: instant grits, soybean meal, panko, ground white bread, calf manna, all purpose flour, cooked cracked corn, instant oats, break crumbs, powdered molasses, cake mixes, cookie mixes, chicken laying mash, and ground cereals. Wetters function as the glue and include: creamed corn, lake water, soda, fruit juices, pudding, baby food, karo syrup, molasses, maple syrup, alcoholic beverages, ketchup, eggs, vinegar, chocolate/strawberry syrup, agave nectar, Cottage cheese, milk, snow cone syrups, apple sauce, flavorings/boosters, liquid deer attractants. 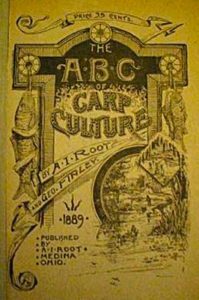 Be sure to visit http://www.americancarpsociety.com/traditional-american-styles/ and scroll to bottom for ‘recipe’ ideas.